even after it has become a table. Striking design with a clean, clear style will ensure the tema table is a bold presence in your dining area. 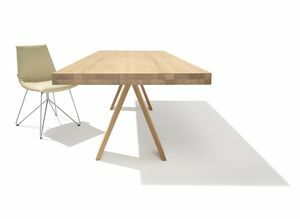 Its linear form allows the beauty of its solid wood to be the focal point and makes tema a true all-rounder – as a non-extendable table, up to 300 cm long, or as an extendable table up to 350 cm. 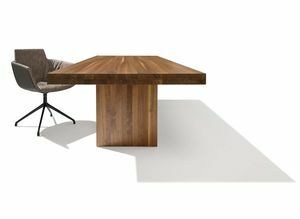 With its formal minimalism, the top of the tema table can be combined with various bases. Solid wood end panels emphasise the straight lines of its understated design. It is braced with a beautifully crafted stretcher that is an attractive design feature and ensures maximum stability. Elegant A-frame legs give tema a modern and more expressive appearance. The table top appears to balance on the point of the “A”. A real work of art with a “wow factor”. The clear design and generous leg-room are impressive in both versions. 0 to 100 in seconds. Quick, convenient and intuitively easy – the non-stop extension technology developed by TEAM 7 makes it possible to increase the size of the tema table with a single action. In seconds it grows by 100 cm, creating four extra dining places. Reducing the dining table again is just as easy with the non-stop system. Our patented mechanism cushions the movement of the integrated table inserts in both directions. The synchronously extendable table top opens up in the middle, and the inserts swivel up automatically, fitting into place with perfect precision. 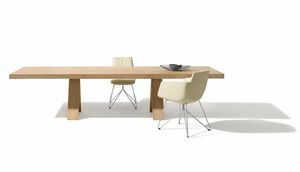 The table base stays in the same position – ideal if it is placed on a rug or combined with a bench that then remains in a central position relative to the table. Ultra-modern 3-layer technology provides the table’s tremendous stability and makes the ingenious construction of the impressive table top possible. The entire extension mechanism is concealed within and the design allows maximum comfort with generous leg-room. 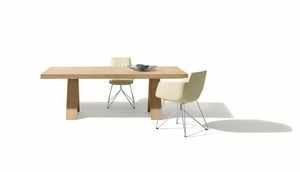 Its high-quality craftsmanship is evident in such details as the carefully finished end-grained wood on the front edges, and the continuous pattern of the hand-sorted wood grain on the surface and sides of the table top. Traditional craftsmanship and innovative technology – perfectly combined. 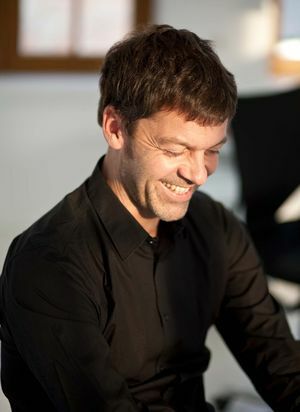 contribute to the development of the company and the product type.